Follow the teddy bears for a good night’s sleep. The cute teddies await you at the foot of the stairs as you head to your rooms. 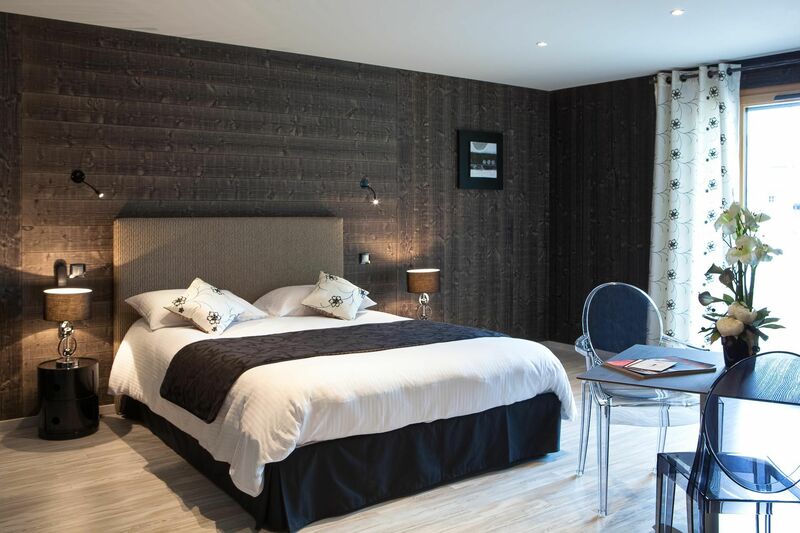 Hotel Blanc, 10 minutes from Albanais’ wonderful capital of Rumilly, has spacious and refined rooms that have been renovated and decorated in a contemporary style for your absolute comfort. You’ll stay in the rooms located in the hotel itself or next door in the old forge workshop with direct access to the wellness area. 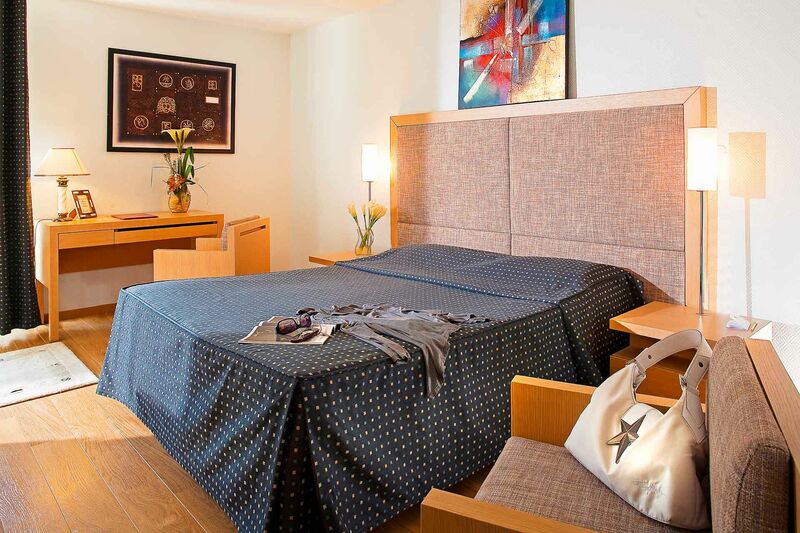 Stay in 20 m² double or twin rooms in the main building of the hotel, some of which have terraces. The doubles have either one 160 x 200 cm bed and the twins have two 90 x 200 cm beds. Facilities: air-conditioning, 55 cm flat screen TV with digital terrestrial channels, free Wi-Fi, phone, minibar, safe, bathroom with shower or bathtub, hairdryer and separate toilet. 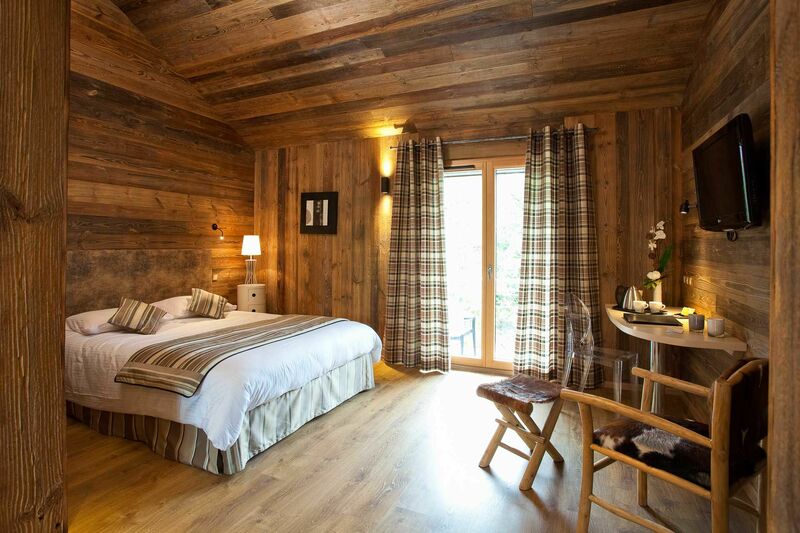 Next to the hotel, the old forge workshop has 20 m² double rooms with terrace overlooking nature and access to the wellness area. Facilities: air-conditioning, 80 cm flat screen TV with digital terrestrial channels, free Wi-Fi, phone, 160 x 200 cm bed, minibar, safe, shower room with hairdryer, and separate toilet. 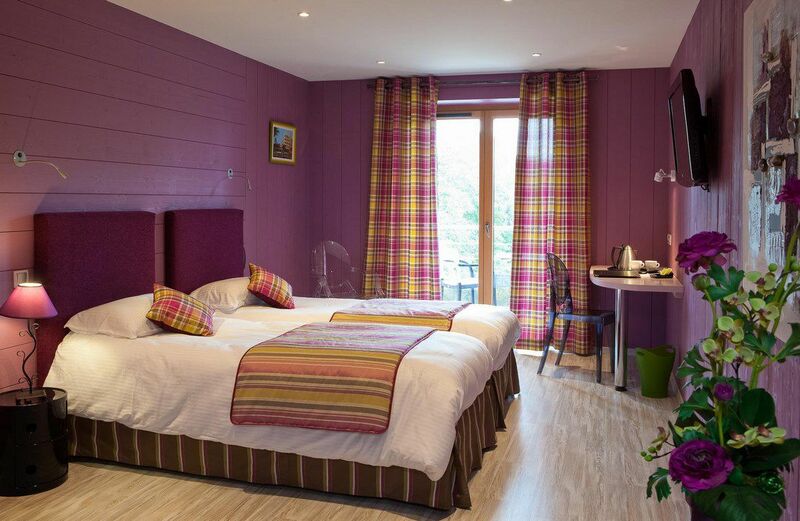 Next to the hotel, the old forge workshop has very spacious 30 m² double rooms with terrace overlooking nature and access to the wellness area. 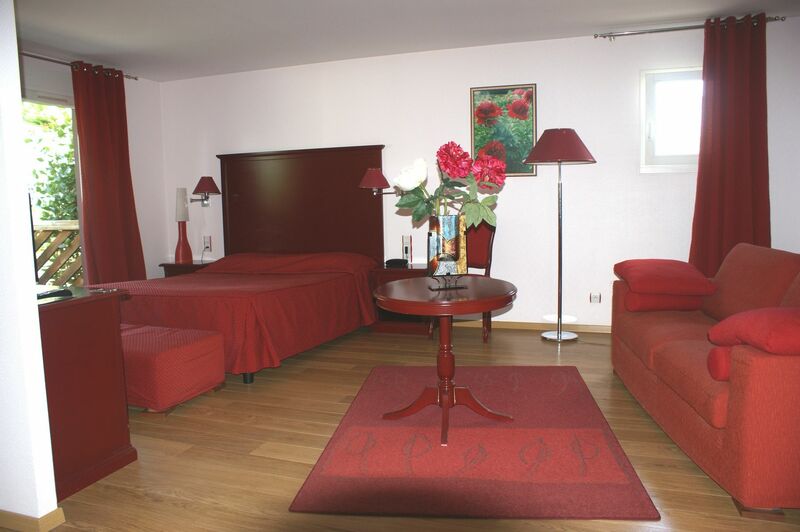 The hotel has a large 30 m² family room with terrace that can accomodate up to 4 people with a 160 x 200 cm double bed plus a 150 x 200 cm sofa bed. Facilities: air-conditioning, 55 cm flat screen TV with digital terrestrial channels, free Wi-Fi, phone, minibar, safe, bathroom with bathtub, hairdryer and separate toilet. What better way to start the day than deep in the countryside with mountains on the horizon and accompanied with a hearty breakfast? The buffet from 7:15am (8am at weekends) until 10am is made up of homemade bread, Swedish flat bread, pastries, cereal, cake, Saint-Genix brioche, cheese, cold meats, homemade jam, seasonal fruit, yoghurt, boiled eggs, fruit juice and hot drinks. Room service breakfast is also available.